Not ones to lecture but…. 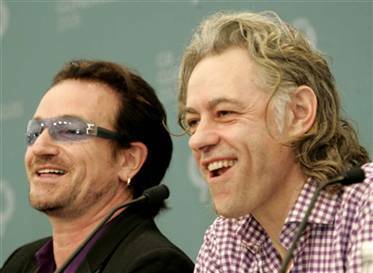 The activists Bob Geldoff and Bono have announced their intentions to donate their respective fortunes to various charities. In a joint statement, Live Aid co-founder Geldoff and the U2 singer, Bono (real name Paul Hewson), said they felt the time was right to ‘set an example’.